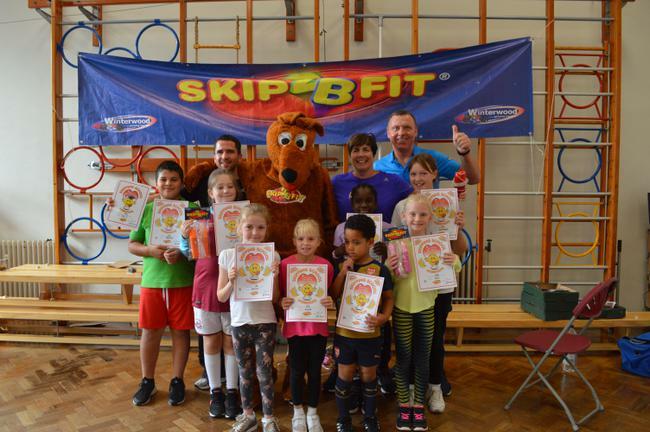 Skip2bfit takes St Anselm's by storm! Today we all got involved in National Fitness Day by taking part in 'Skip2bfit' workshops throughout the day. This marks the beginning of our priority to raise well-being outcomes for our children. Each week children, staff and parents will be encouraged to improve their personal best score of how many skips they can achieve in 2 minutes! It was a really great day of fun, fitness and focus!